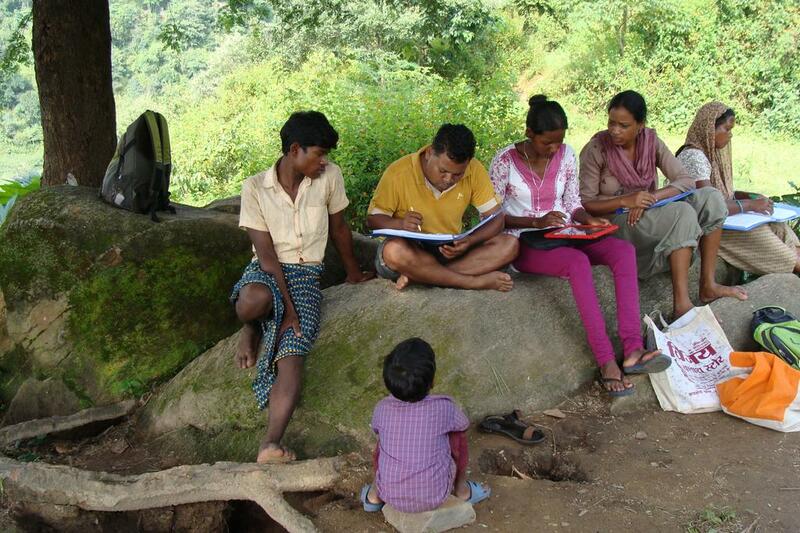 Some photos from Shakti Lamba who is currently testing Symbai in the Chhattisgarh state in north eastern India. 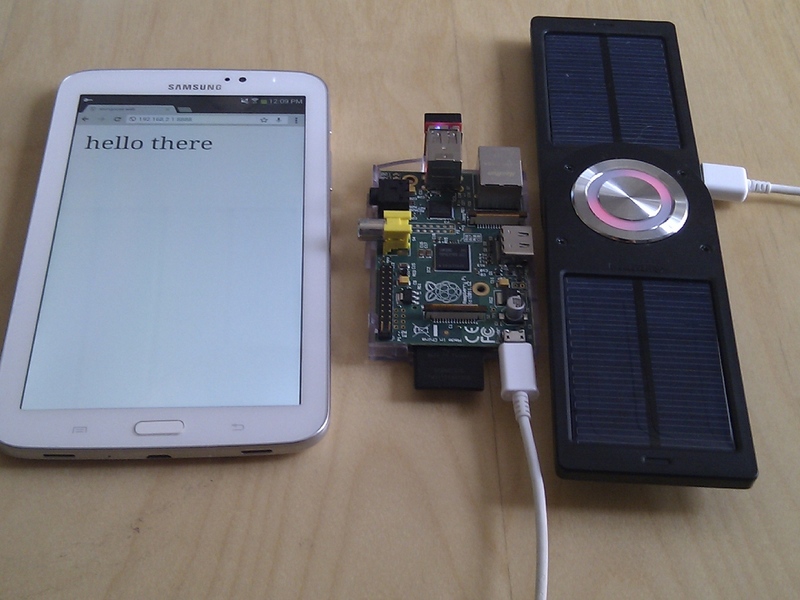 The whole system is solar powered, and provides it’s own networking via the Raspberry Pi synchronisation node shown here. The android tablets also recharge from the same power source. The Raspberry Pi networking is a direct descendant of the experiments we carried out in London during the Sonic Bike workshop. 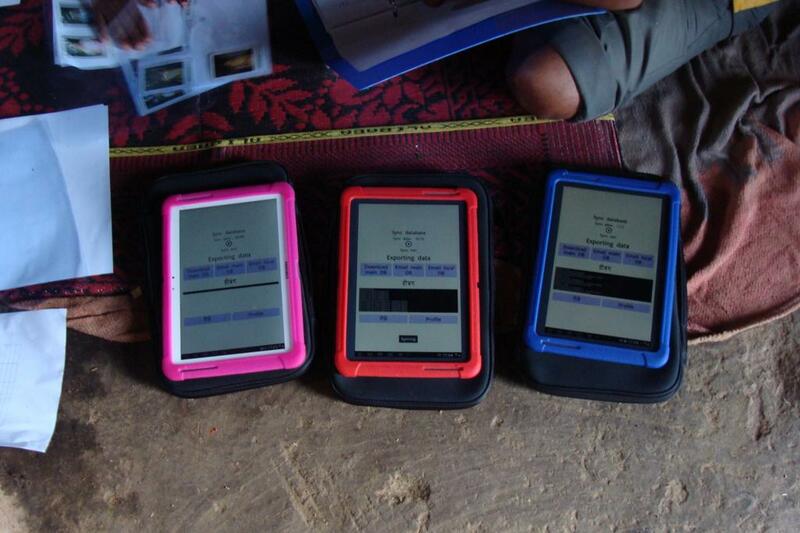 Here are three of the tablets syncing their data – photographs for people to identify each other (names are used differently to western culture), audio recordings of verbal agreements (a requirement in preliterate societies), and information of who knows who. More on this free software project, links to source etc over at foam kernow. This is a Raspberry Pi running a Racket Servlet (with the Mongoose 2000 data sync server) serving a webpage to the tablet. The neat thing is that it’s running on solar power – a day of gloomy winter Cornish light (not even outside) charging the on board battery results in over an hour of running time. 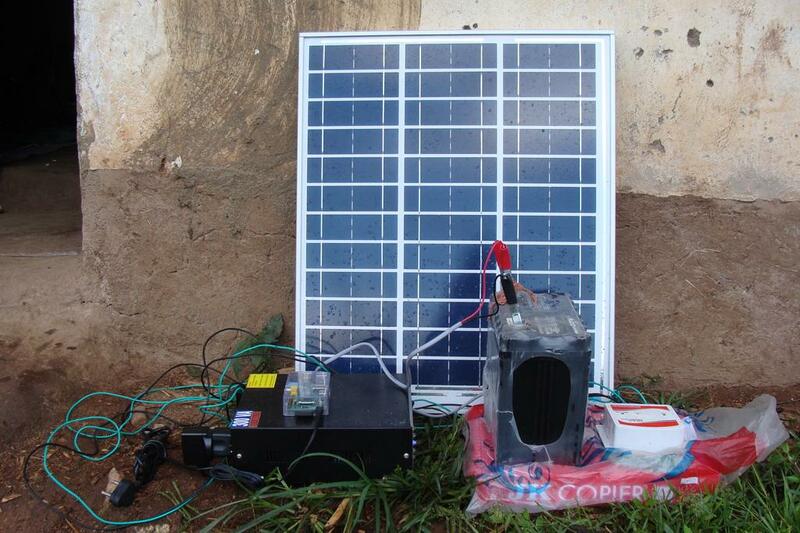 This includes the ad-hoc wifi transmitter, which is presumably the main power drain as the CPU usage is negligible. This system, which I’ll be developing more in the coming months, will be heading to rural India as part of an exciting anthropological research project with Shakti Lamba involving the Aakash tablet and some interesting ubiquitous livecoding experiments.